S.A.C.I. Falabella was selected for the second consecutive time in 2017 to enter the Dow Jones Sustainability World Index (DJSI World), an index that evaluates the world's largest companies in terms of economic, social and environmental factors. In the process, 2,086 firms from 47 countries were evaluated, of which 69 correspond to the Retail industry. S.A.C.I. Falabella was in 6th place in the world ranking in such industry, being the only one in Latin America to be selected. S.A.C.I. Falabella was selected for the third time in a row in 2017 to enter the Dow Jones Sustainability Emerging Markets Index (DJSI EM) and the Dow Jones Sustainability Chile Index (DJSI Chile). Additionally, S.A.C.I. 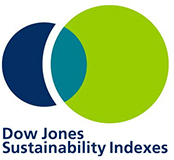 Falabella was incorporated into the new Dow Jones Sustainability MILA index, which tracks the performance of companies in sustainability matters in Chile, Colombia, Mexico and Peru. S.A.C.I. Falabella was incorporated for the second consecutive year in 2017 to the socially responsible investment index FTSE4Good, which is one of the main international sustainability and corporate responsibility indexes. Prepared by FTSE Russell, an independent company that belongs to the London Stock Exchange Group, this index considers variables such as environmental management, corporate governance and ethical business management, respect for human and labor rights, as well as the application of labor standards within the supply chain, and is used by investors to identify companies that develop their operations following global sustainability standards. One of the main objectives of the Falabella Companies is to be a good place to work, promoting a collaborative environment and a healthy balance between personal and work-life. 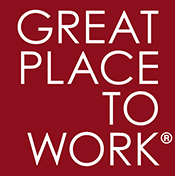 For the same reason, some of the Falabella Companies participate in the Great Place to Work survey, by which we measure ourselves and define subsequent goals as part of our commitment to our collaborators. For more information click here. S.A.C.I. Falabella, Sodimac S.A. and Falabella Retail S.A. are part of the United Nations Global Compact, committing to disseminate and comply with its 10 fundamental principles on issues of sustainability worldwide, within its four areas: Human Rights, Labor Rights, Environment and Anti-Corruption. Additionally, the main business units of the company report under the GRI (Global Reporting Initiative) standard. For more information click here. Falabella and Sodimac work with Sedex, the world's largest platform on issues of Social Responsibility in the Value Chain, which supports companies to achieve responsible ethical, labor, environmental, health and safety standards. Suppliers must commit to compliance with the ethical trading rules of Sedex members (SMETA). For more information click here. Falabella, Sodimac and our Real Estate business are members of the PROhumana business network, a Chilean non-profit, non-partisan, independent and self-sustainable organization. PROhumana has been working continuously for 21 years, promoting cultural change in Chile and pursuing transformative initiatives to allow the country to move towards widespread, sustainable human development, whereby companies seek in their business models to be authentic agents of economic, ethical, social and environmental progress. For more information click here.